* Dry herb and Concentrates coils. * Heat while pressing power button. * Two glass tubes. Aqua & Freezable. 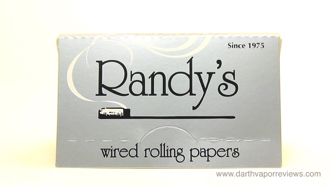 Randy's Wired Papers started in 1975 in San Francisco with their innovative wired rolling papers. Since then, they have expanded their wired paper line, added new accessories and continue to develop vaporizers with new technology. 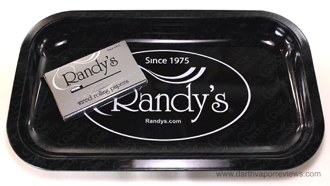 Featured in High Times Magazine, Randy's Chill is the world's only freezable tube vaporizer. The kit comes in a sturdy cardboard box with clear descriptions on the sides. Inside the kit, the contents include an instruction manual, a USB charging cable, spare parts, a Chill freezable tube, a pre-installed Aqua Bubbler, a dry herb coil and a concentrate coil, a metal tool and the Chill freezable vaporizer. 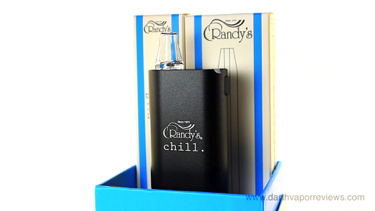 Randy's Chill is a 1500mah dry herb and concentrate vaporizer with a 0.5 ohm coil resistance. 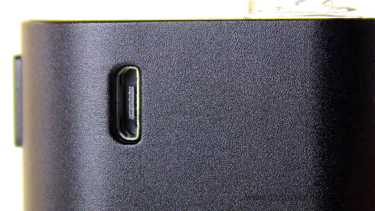 It can be charged in 4-5 hours via the micro USB port located near the top. Slide the coil into the coil chamber. Snap the coil back into the Chill body. Choose your glass tube. 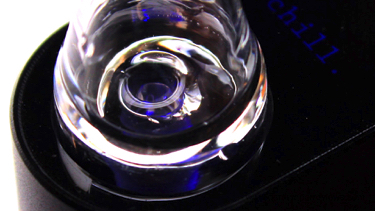 The Aqua Bubbler can be filled with a little bit of water for a filtered hit. The Freezable Tube is filled with a non-toxic solution and will stay cold for a single short session. It will also work as a normal glass mouthpiece without freezing. Once you choose your desired setting, you're ready to vape. Just hold the power button while you inhale. The longer you hold, the hotter the coil gets. Roughly 12 seconds. The Chill will auto shutoff after one minute of inactivity. 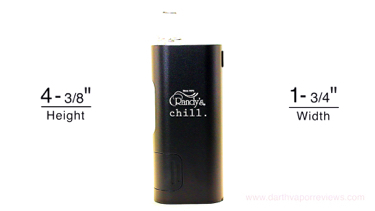 The Chill is an innovative vaporizer. 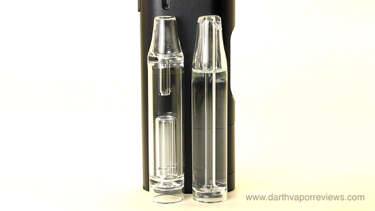 The options for dry herb or concentrate and the two glass mouthpieces makes for a great device. There is a larger 5.5 inch freezable tube available separately called the Icicle. It will stay colder longer than the standard tube and it's always great to have a spare on hand. Insert your preferred mouthpiece. Five clicks of the power button turns it on or off. Three clicks switches between settings. Depending on the coil used, the temperature range is: Red for Low (212℉ - 450℉) Green for Medium (400℉ - 600℉) and White for High (600℉ - 900℉). Overall, a great vaporizer that so far, I really enjoy using. 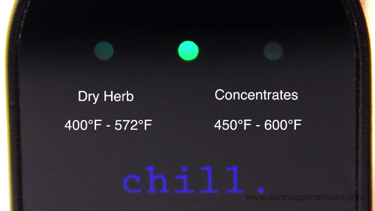 The Chill vaporizer currently runs in the $150 range and comes in the colors of Black, Silver and Blue. If you would like to pick up the starter kit for yourself, just click on the links or the logo below. Have an excellent day and may the Vape be with you. 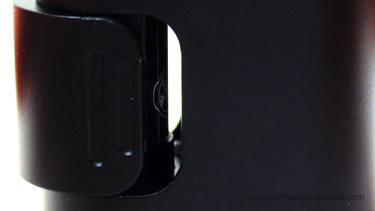 It has a see through window on the side and a slide out magnetic coil chamber. 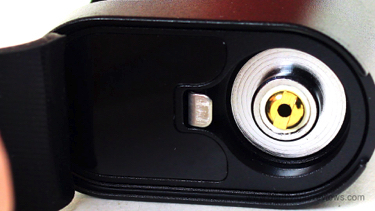 The bottom has a hidden compartment that holds the metal tool and spare coil. 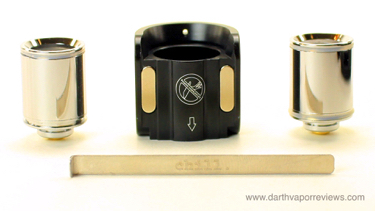 The coil chamber is easy to change out although, it will get a little hot after several quick sessions. One of my favorite features is the hit it and quit it style operation. Vaporizers that bake for 3 to 5 minutes make me feel pressured to hurry before it's gone. Heating while pressing the power button lets me take the time that I want for each session. I found the heat settings to be pretty interesting. I haven't tried the concentrate coil yet, but for the dry herb coil, the lowest setting on Red provided a nice and light vaporized hit, while the highest on White gets hot enough to easily combust the herbs. My favorite setting is medium on Green. For me, it's a cross between combusting and vaporizing. A smooth, but predominate hit.